I can’t eat carrot cake without thinking of Grandpa Phil. Technically, he was Step-Grandpa Phil, but I liked him and (Step-) Grandma “Norky” enough that I had no qualms about acquiring them as another set of grandparents. While Grandma Norky was “like butter,” Grandpa Phil was a little rough at the edges. 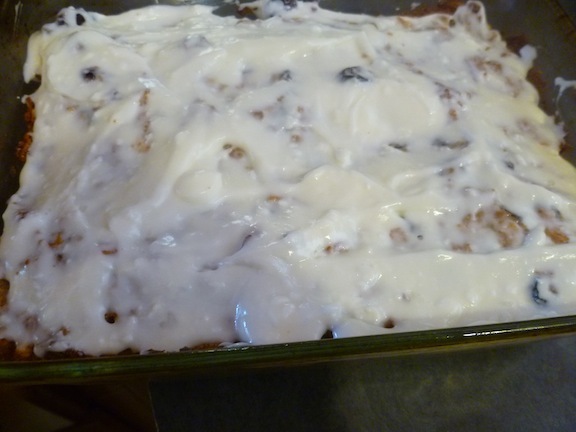 I saw just how rough over a few pieces of carrot cake that I discarded–after licking the cream cheese icing off the top, of course. The bite size pieces, served in muffin tins, were on their third day. Stale carrot cake with big chunks of walnuts in it? Ew. But that icing–it’s good for days. Grandpa Phil walked right up and made me take it out of the garbage and demanded that I eat. With no one in sight to come to my rescue, I sized him up and decided I wasn’t going to win this battle. Double Ew. These carrot cake granola bars don’t feature any giant walnuts and do feature yummy icing. He licked the icing first, obviously. Mix all the ingredients in a bowl and bake for 25 minutes at 350. Let cool. 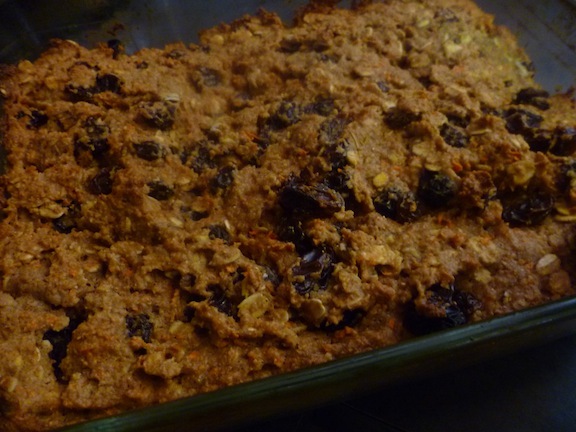 Combine all ingredients in a bowl and spread over granola bars once they’ve cooled. Store in the fridge. Unless, of course, you devour them immediately. yum, but I think I’m sticking with the general ones- I couldn’t wait to make a batch after Pesach! Just made them – they’re amazing!! I’m a big proponent of making healthy, delicious food that I can feel good about eating and feeding to my daughter – I’ve never commented before but I’ve made a few of your recipes and they were all great! Have you seen Heidi Swanson’s cookbooks? They’re all about simple recipes using healthy ingredients – I think you’d like them. I’ve only made a few things of hers so far but they’ve all been successes. send some over here. 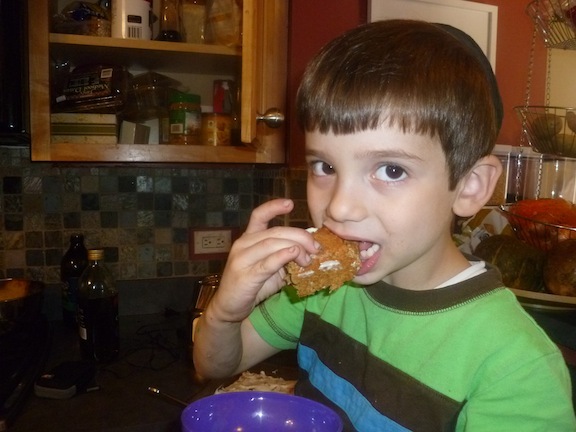 i haven’t made any granola bars since before pesach!